What is the worst illness you have ever endured? What treatment did you receive? How relieved were you when you got better? Do you think following Jesus was a difficult decision for Matthew to make? Why or why not? What do you think it means to "follow Jesus?" If this story were to happen in West Michigan in 2009, where do you think it might take place? Who do you think would be the tax collectors and sinners? Who do you think would be the Pharisees? In verse 12 Jesus suggests that some are "healthy" and don't need a doctor. In verse 13 he seems to say that some are "righteous." If everyone is a sinner (Romans 3:23), than why is Jesus saying that some don't need to be saved? Who are these "healthy" and "righteous" people? Why did Jesus eat with tax collectors and sinners? What do you think Jesus meant when he said, "I desire mercy, and not sacrifice."? I'm not sure where I picked up this list, so unfortunately I can't give credit where it's due. While you may not agree with everything in the list (I don't), it's definitely full of useful ideas for small groups. They know the purposes of the group and continually model and teach the group to carry out those purposes. Small group leaders are volunteers and they, like the rest of us, often have a time crunch that keeps them from doing a whole lot more than showing up and teaching the lesson. It is important for them to know the main purposes of the group (often incapsulated in acronyms like LIFE). If they cannot rattle off those purposes at a moment’s notice then chances are that group is doing little more than Bible study and fellowship. This is actually as much the responsibility of the small group ministry leader that their leaders know the purposes of the group. If this is not clearly communicated from the top down, given to the leaders in a memorable way, and followed through to make sure leaders are on the same page as the overall ministry. I need to check my motives and my teaching style. Are my students new Christians? I must drop the religious lingo. My teaching methods also need to match the preferred learning styles of the generation and gender I am teaching. For instance, older adults may respond to a lecture format, while younger adults generally prefer lively discussion. Describe what your ideal life would be like five years from now. What kinds of things would need to change in your life to get you from here to there? What do you think God wants your life to look like five years from now? What do you think it means to "conform to the pattern of the world?" What is the "pattern of the world?" Which is worse: Someone who pretends to be religious at church or someone who pretends to be worldy (acts as if they are not a Christian) in the world? Why? 3. Not a hypocrite, but not a Christian. What do you think it means to be "transformed?" Read Colossians 3:1-10. How are we transformed? Can we be transformed if we continue living exactly as we have in the past? Why or why not? How thoroughly should you summarize your small-group discussion? Not very. Let people go home with their hearts and thoughts churning. I’m often asked about the best way to summarize a discussion at the end of a group meeting. My advice is simple: don’t. A summary has three drawbacks. The main one is, it has a calming effect. This is because a summary “wraps it up,” eliminating loose ends. Folks relax because the topic that seemed so uncertain and turbulent is reduced to a neat list of principles that won’t bother anyone. They go home with an unfurrowed brow. Some truth is for everyone. (gravity, etc...)Some truth is for you. (your dna, your gifts, etc...)Some truth is ABOUT you.These questions are designed to address what the Bible says is true about you. Read James 1:22-25. How might the Bible serve as a spiritual mirror? Why do you think many people hear a sermon on Sunday and feel like they should change something as a result, but never change? What things keep you from changing when you know you should? What Bible passages have impacted you in the past, and caused you to desire change? Tell the group about a change you have made in the past. How were you able to accomplish it? Read Psalm 119:105. How might the Bible light up the next spiritual step you need to take. What have your recent looks into the mirror of God's Word revealed to you? Are there any next steps you can take to be a "doer"? How can this group be of assistance to you? For one of my Bible classes in college we had to study a selected Bible passage and make several "observations" about that passage. Sometimes, we had to make up to 100 observations. I think that "observing" the text is a great exercise for a LIFEgroup to do together. Colin Adams has posted a brief but useful idea regarding observations. Check it out, and consider doing it with your LIFEgroup sometime soon. A simple but astonishingly helpful ‘exercise’ I use during initial passage study is what I call 20 observations. The idea is simple. Take one verse of the text at a time and force yourself to make at least 20 observations of each verse, soley from the text. 1) ‘Paul’ wrote this letter. 3) Paul is specifically an ‘apostle of Christ Jesus‘ . 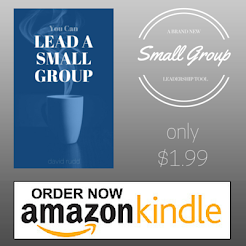 INDENTIFY THE LONG-LASTING SMALL GROUPS THAT ALREADY EXIST. Start your search with senior citizen Sunday school classes. In some churches they're remarkably stable, and their relationships extend outside the classroom. Talk with class members. What insights do they have about creating community? Why are they close? You're likely to find they have shared history, they rely on each other for practical things, and they feel free to talk about current life issues. Their relationships are relevant and vital. As a group, read John 15:1-11. What do you think is the “fruit” that is spoken of throughout this passage? Read Galatians 5:22-23. Which of these “fruits” are your strengths? Which are your weaknesses? What are some stories you remember about Jesus when he exhibited some or all of these fruits? According to John 15, the secret of bearing fruit is “abiding” or “remaining” in Jesus. Give some specific examples of how someone might “abide” in Jesus. Branches draw their life’s energy from the vine they are attached to. What can we do to draw our life’s energy from Jesus? What kind of things keep us from abiding/remaining in Jesus? How can we appropriately deal with these roadblocks? How can you know if you are bearing more or less fruit than you were in the past? What fruit do you want to produce more of this week? How will you rely on Jesus to make this happen? Can this group follow up on that goal next week? Tonight my LIFEgroup did something different (not original, I'm sure). We spent our time together reflecting on 2008 and then looked ahead to 2009. We didn't really finish (we never did), but it led us into a pretty good discussion about what it means to live by faith. Here's how we did it. I created a handout to guide us through the reflection process. I folded a sheet of paper in half, and then in half again (so it was folded into quarters). Then we unfolded it one flap at a time, so no one looked ahead but instead focused on what we were discussing. Each person filled out their own handout, and then had opportunity to share whatever they wanted. Cindy was in the Bible study I led for three years. She always answered the questions and participated in the discussion. She accumulated a lot of knowledge, but her life never changed. She lived a defeatist life, looking to unhealthy relationships with men to meet her longings, never finding anything worth living for. I have puzzled a lot over people like Cindy. I've met quite a few over the years. It seems that some people never move beyond head knowledge to heart knowledge. There are numerous reasons for this. I'd like to identify three.